Innovation is a cornerstone of ferrovial’s business. The company focuses on projects related to businesses that generate added value. The development of innovation becomes effective through the Strategic Innovation Plan. Developed in 2018, the plan builds upon the previous model and has shown excellent performance to date when working bottom-up (gathering and resolving challenges) and carrying out top-down actions that look to the future and outside the company in a bid to generate long-term value for customers, while improving levels of social well-being and progress. Ferrovial’s Innovation Strategy is headed and steered by Innovation Committee, comprising the company’s CEO, its CIIO, the CEOs of the Business Units, the Head of Human Resources and the Head of Corporate Strategy. Moving down a level, Ferrovial’s Innovation Strategy is coordinated by the Global Innovation Steering Council, which is chaired by the Chief Innovation and Digital Strategy Officer and comprises the innovation officers of all of the company’s business units. Expert working groups have also been set up to tackle specific subjects. The plan rests on five main pillars: anticipation and exploration; collaboration and transversal approach; focus and impact; globality and ecosystem; and agility and swiftness. A set of transversal targets and related programs have been established in key areas relating to innovation, such as data-based management, mobility, automation and sustainability. The plan also includes the creation of a Venture Lab to incubate new digital businesses. Thanks to Ferrovial’s focus on innovation, more than 100 projects were in development in 2018, with an investment effort exceeding EUR48 million in R&D, 45 pilot projects carried out at start-ups and 17 partnership agreements signed with universities and research centers. The company’s innovation processes are highly mature —responding to business challenges through an open ecosystem of innovation and through the continuous development of an innovation culture— enabling it to develop the necessary capabilities in emerging technologies and in detecting digital business opportunities. Ferrovial is committed to developing skills that will push us towards a corporate culture of agility and collaboration, the sharing of knowledge, foresight, experimentation and digital advancement. This has given rise to Play the Future, a program that bids to enhance the digital capabilities of the organization in key areas such as artificial intelligence, Big Data, IoT and drones. In 2018, new content was introduced and the scope of the initiative was broadened to include new target audiences, with game-based training via mobile phone and specific developments for each business unit. The company also rolled out Executive Forum, a meeting of Ferrovial’s managers and executives to analyze and reflect on emerging global trends and their impact and to stimulate innovative thought and collaboration among participants by aligning content with the company’s digital strategy and drive to innovate. A key pillar in promoting this culture of innovation is Zuritanken, whereby employees are encouraged to brainstorm innovative ideas that will benefit the business. In its last outing in 2018, a total of 576 ideas were received from 1,110 employees. Ferrovial’s commitment to an open innovation model as a key element of its strategy will ultimately result in a collaborative ecosystem of external partners capable of accelerating the innovation process. This framework will also include the Digital Hub, competency offices and technical offices, which act as catalysts of change and transformation. The ultimate goal is to make innovation more agile and to work together in placing new products, processes and business models on the market. With the aim of expanding and strengthening the ecosystem, the company has continued to work on scouting in key regions, such as Israel, the United States, Finland and Singapore to identify capabilities and appraise those agents with whom a relationship could be productive. Ferrovial views start-ups as an ideal platform for experimenting with disruptive concepts, not only for because of their orientation but also for the speed at which the associated projects can take shape. The company has rolled out the second edition of its BuildUp! program, this time round with the support of Heathrow Airport and Climate-KIC to reduce the environmental impact of using plastics. Meanwhile, and this time in partnership with the European Commission and its business acceleration services for small and medium-sized enterprises, Ferrovial has organized Corporate Day, an event at which a selection of European start-ups will present their solutions and hold meetings with the business units. The company is taking part in numerous collaboration initiatives and networking events with start-ups in response to the challenges posed by urban mobility. These events include Data City Barcelona, Smart Open Lisboa and Intelligent Mobility. A Ferrovial start-up which, via an app, helps the user find the best travel route by combining different forms of transport (public transportation, taxi and private carpooling and ridesharing operators). 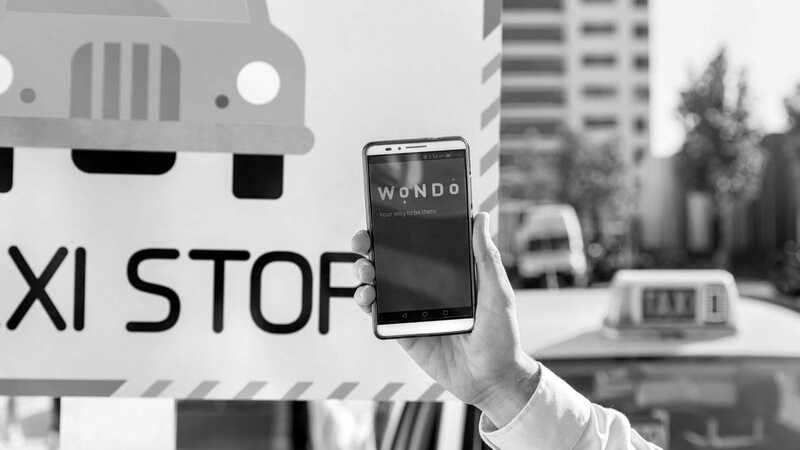 In its current stage, WONDO has successfully signed partnership agreements with taxi services, carsharing companies (Zity), bikesharing and discretionary bus transport companies. The company expects to increase the number of transport options down the line to make the service even more flexible. it is essential to continue working towards innovation in all areas of the company to continue generating value. Ferrovial is a member of the European Institute of Innovation and Technology, which seeks to make Europe more competitive and consolidated its leadership in the field of innovation. Here, the company takes part in two of the innovation knowledge communities into which the institute is structured: Digital-KIC and Climate-KIC. Ferrovial also maintains close ties with Innovate UK, a public innovation agency based in the United Kingdom, with which the company carries out joint projects on matters such as asset inspection using satellite data, real testing of autonomous connected vehicles, or mitigating the impact of extreme climatological events. Under its partnership agreement with the Massachusetts Institute of Technology (MIT), Ferrovial has undertaken five innovation projects that aim to transform cities and develop the infrastructures of tomorrow. In 2018, two new projects were launched to investigate air mobility noise and solutions for reusing sewage sludge. The company also took part in the study titled Mobility of the Future, which addresses future changes in the transportation sector. The company also helped to launch Madrid Innovation Driven Ecosystem, the first collaborative platform to champion innovation-based enterprise across the region, drawing inspiration from the model devised by the MIT. Meanwhile, an agreement was finalized with Stanford University to research long-term infrastructure projects through the Global Projects Center’s industrial affiliation program. Information is a strategic asset at Ferrovial. We apply artificial intelligence to reach better decisions and optimize the management of our infrastructure, while developing new business models and services best suited to the needs of the public. 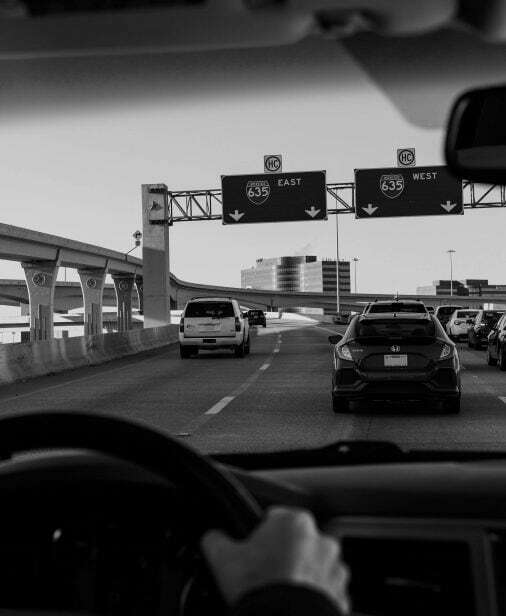 This can be seen in our Managed Lanes in Texas or at Heathrow Airport. Technological and social trends are moving closer together and this is redefining the mobility of both people and goods. Ferrovial works hard to adapt its infrastructure to the needs of its users, incorporating the latest developments in electrical and autonomous mobility and offering personal mobility solutions. Wondo is a start-up conceived by Ferrovial to provide the public with access to the main urban mobility services, such as taxi, carpooling, motorbike sharing and private buses. Ferrovial is committed to the safety and security of its infrastructure, workers and users. It uses 3D simulators, virtual reality, augmented reality and wearables, among other technologies, to improve the safety conditions of its workers. It also relies on drones to inspect 200 km of transmission lines, thus eliminating the risk of having its technicians climb the towers. Robotics, drones and artificial vision aid with maintenance operations by making the work safer, more efficient and more productive. ZRR is a robotization project for waste treatment, enabling us to improve the material recovery ratio and working conditions for operators. Growing social concerns on the subject of climate change have prompted Ferrovial to develop tool and technologies that help improve the climate while also unlocking business opportunities in this field. In partnership with the MIT, Ferrovial and Heathrow have developed a device that captures the sound generated by aircraft and turns it into energy. The company has a global vision of best practices and seeks to transfer knowledge, methodologies and digital solutions across the entire organization. 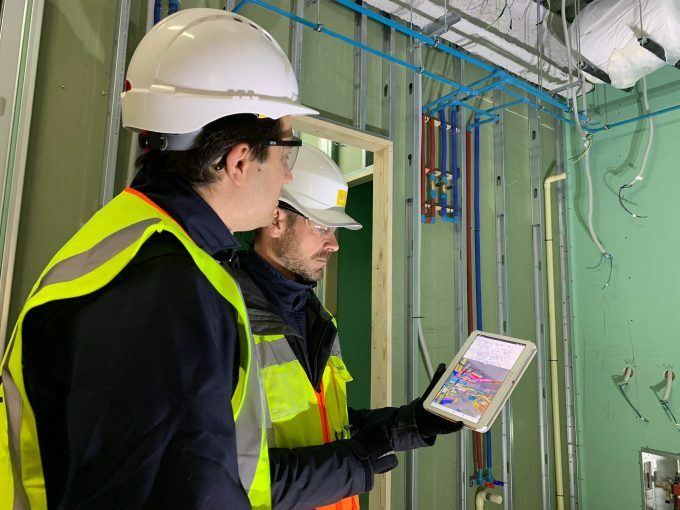 Using the Digital Platform for Linear Assets, the company develops standards, processes and protocols that provide a contractual framework for new projects and lets it implement BIM methodology across all phases of the project. By using new materials and procedures, we can continuously improve the design, construction and operation of infrastructure. The company is permanently exploring new possibilities for generating savings for its clients. Ferrovial has already started to use pieces created by 3D printers in order to build and maintain railroad track.